A team of researchers have identified an improved method to predict the strength and durability of shale embankments that line roads. Called geochemical modelling, this type of analysis can lead to potential savings when it comes to road design and construction, particularly in Saskatchewan. 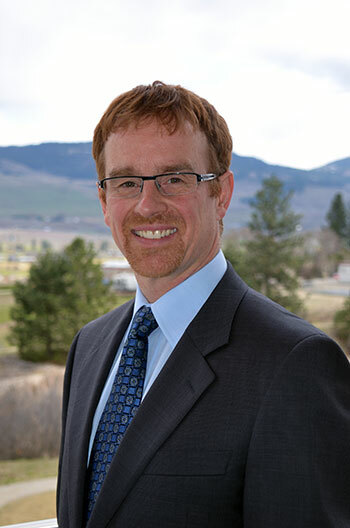 Craig Nichol, senior instructor of Earth and Environmental Sciences at UBC’s Okanagan campus, says when shale is exposed to the weather, oxidization can occur—along with other geochemical changes which can affect the strength of the material. Shales, rocks that are made of clay or mud, are used for road bed or embankment construction across the Prairies due to their abundance in this area. Nichol, who worked on the study with engineering researchers at the University of Saskatchewan and York University, says the strength and durability of these materials are central to road construction and design. The team studied the residual shear strength of shale within the Lea Park Formation, a dark shale that stretches across parts of Alberta and Saskatchewan. The researchers used geochemical characterization and geo-chemical modelling methods, along with physical tests, to study the strength and quality of the shale, especially when oxidized by weather. They determined that qualitatively, near-surface oxidized and leached shales have greater strength than initially believed and predict they won’t be compromised as a result of post-construction handling or weathering. Nichol, who worked with York University’s Jitendra Sharma, Lee Barbour with Saskatchewan University and Thurber Engineering’s Kenneth Froese, says their research determines that combining traditional physical testing with geochemical modelling is a better method to accurately predict strength properties and can ultimately save money during road design and construction. Nichol says their research shows that geochemical modelling is an effective tool, and can make for better practice when it comes to road design and construction. The research was recently published in the Canadian Geotechnical Journal. And funded by the Saskatchewan Department of Highways and Transportation.